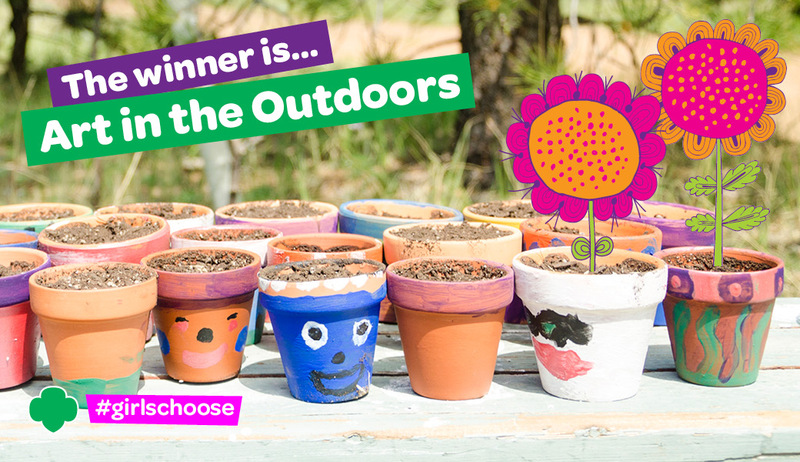 The second Girls’ Choice badge will be Art in the Outdoors. How much fun will girls have doing this? Now the real fun begins as we work hard to write and design the new badges, which we will be testing with girls in January. We can’t wait to hear what they think. And remember, girls will also have the chance to vote on the design of their badge from January 11-22. Stay tuned for that link, coming in January. Thank you so much to everyone who voted. We are thrilled to be working with girls on more girl-led programming—they’re our favorite partners! In the meantime, start taking notice of that crisp blue sky or the abstract sculptures in your local park, and get ready to create some amazing Art in the Outdoors next year. Badge requirements will be available for download May 30, 2016 and in council shops by the summer! As a reminder, these were the categories and topics girls had the opportunity to vote on in October and November.